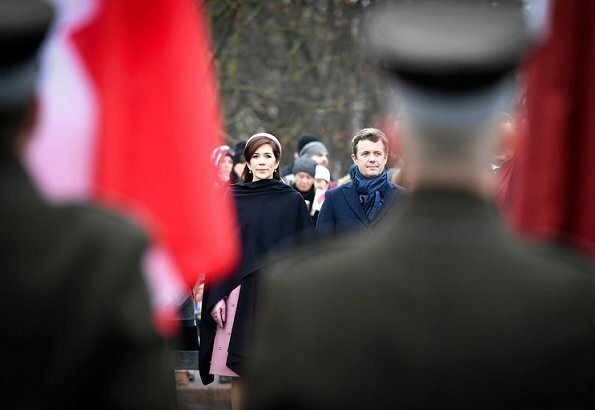 Crown Prince Frederik and Crown Princess Mary visited Latvia on December 6-7, 2018 to attend the celebrations of the country’s independence. 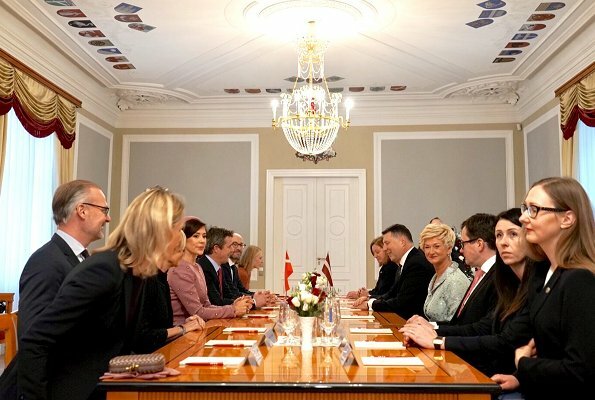 Denmark takes part in celebrating Latvia’s declaration as an independent state 100 years ago, and, as a part of this celebration, the Crown Prince Couple visited Latvia upon the invitation of Latvia’s president, HE Raimonds Vējonis. 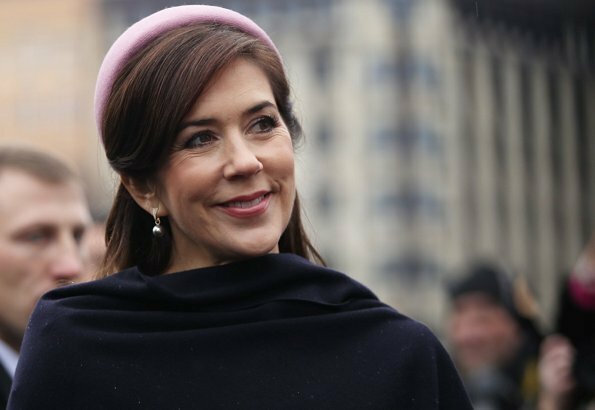 Crown Prince Frederik and Crown Princess Mary attended an official welcoming ceremony on the Castle Square at Riga Castle and were received by the Latvian President and First Lady, Raimonds Vējonis and Iveta Vējone. Crown Prince Frederik and Crown Princess Mary and the President and First Lady posed for photographing and then the Crown Prince Couple signed the guest book. 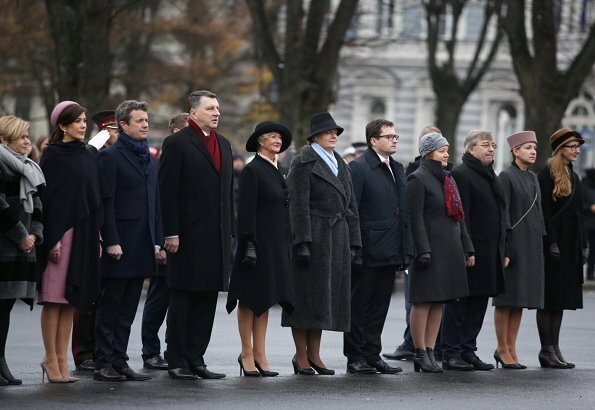 Crown Prince Frederik and Crown Princess Mary took part in the placement of flowers at the Freedom Monument in Riga together with the Latvian President and First Lady and the Danish and Latvian culture ministers. The Freedom Monument was unveiled on 18 November 1935 in honor of those who died in Latvia’s fight for independence (1918-1920). It was constructed with the help of donations from the Latvian people and was designed by sculptor Kārlis Zāle. The three stars at the top of the statue represent Latvia’s three historical regions, Kurzeme, Vidzeme and Latgale. 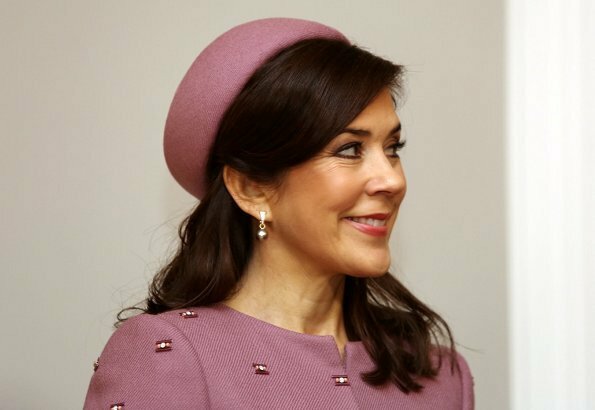 Crown Prince Frederik and Crown Princess Mary participated in a book donation ceremony at the National Library of Latvia with the Latvian President and First Lady as well as the Danish and Latvian culture ministers. At the ceremony, The Crown Prince Couple handed over a book of particular importance to the National Library of Latvia in connection with Latvia’s 100 years of independence. 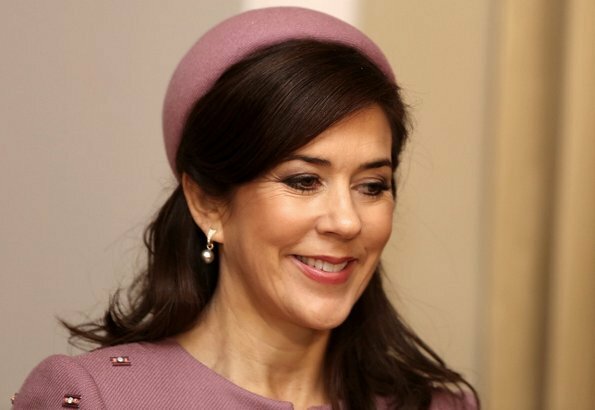 Crown Prince Frederik and Crown Princess Mary attended an official luncheon hosted by the speaker of the Latvian parliament, Ināra Mūrniece. 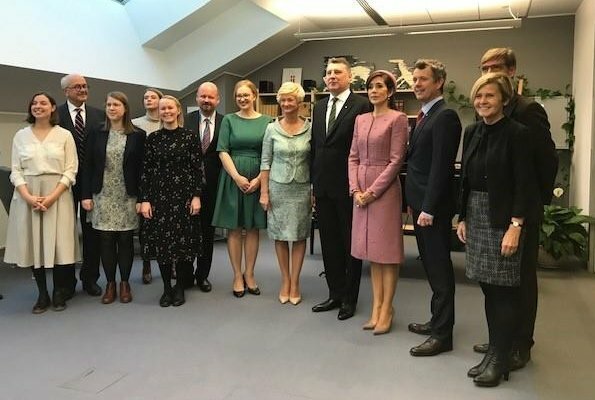 In addition to the Crown Prince Couple, the President and First Lady and the Danish and Latvian culture ministers attended the luncheon. Wow! Another win for Mary! Always elegant, appropriate and stylish. She knows how to dress herself. I love this shade of pink on her and the decorations on the fabric. Her hair is also very beautiful and nicely combined with the hat. I love her whole appearance! The smile - a piece of fashion, too. Frederik seems to smile more since his back surgery. The ladies look lovely. Congratulations to Latvia. Volle Punktzahl. Mary sieht hier einfach nur fantastisch aus. First day of visit to Latvia. Mary looks wonderful in the pink Outfit, so does the First Lady. Mary stands for versatile fashion choices and perfection. So chic!! Well done Mary. Also very stylish is the lady in black in the first photo. Perfection for CP Mary. She has poise and confidence. Love the color of her outfit and hat. Somehow CP Frederik always looks like a big kid dressed up. I think it's the length of his jackets. so classy and beautiful! she looks soooo fantastic! What a beautiful color on Mary! Somewhere between rose and lilac. The suit fits perfectly and the hat is adorable. The First Lady appears very classy and looks lovey in her fashion choices. Yes I agree she does, always. you are right, she looks very good, too! His clothing drives me crazy! Jackets that fit poorly and pants that are all wrong...not to mention the length. This man is the Crown Prince, but you wouldn't know it to look at him. Las dos damas lucen perfectas, el abrigo de Mary es maravilloso, un color que le favorece.